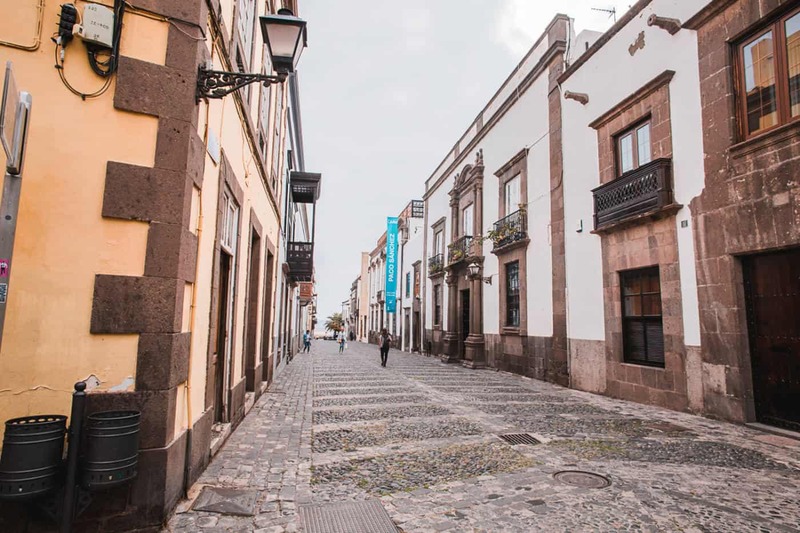 Gran Canaria is an island of striking landscapes, colourfully cobbled villages and cultural fusions – but it’s not really popular for any of those things. Anyone heading to Gran Canaria is more likely flying in to relax on one of the island’s many beaches or to escape to one of thousands of purpose-built hotels and resorts. But even if sunbathing all day while guzzling all-inclusive drinks doesn’t appeal to you in any way, it doesn’t mean you should instantly write off Maspalomas. For a start, one of Gran Canaria’s most impressive landscapes of all is located there. 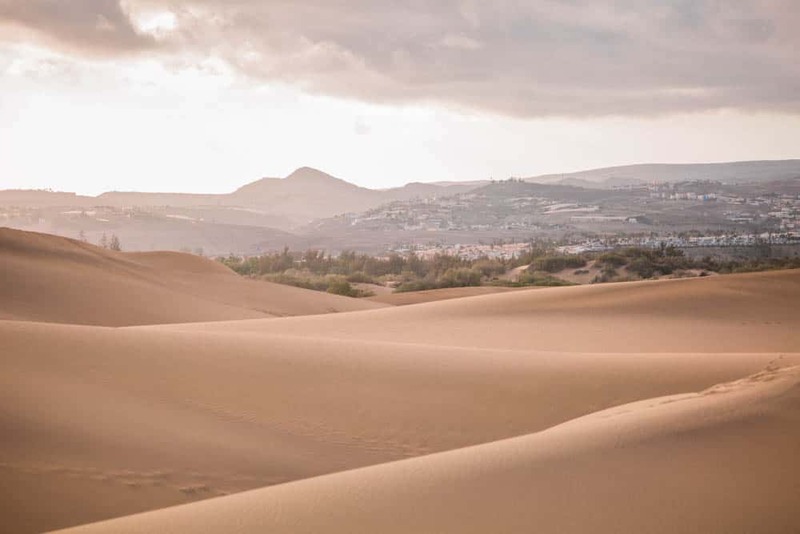 The Maspalomas dunes are worth exploring, no matter which part of Gran Canaria you end up staying in. But whether you’re staying in the Maspalomas area or further afield, don’t limit your exploration time to the dunes alone. 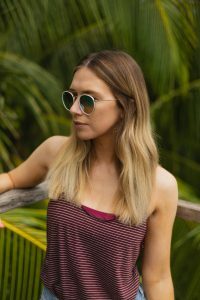 If you’re looking to get out and about in Maspalomas – or simply want something else to travel to the southern side of Gran Canaria for – here are some parts of Maspalomas to explore. 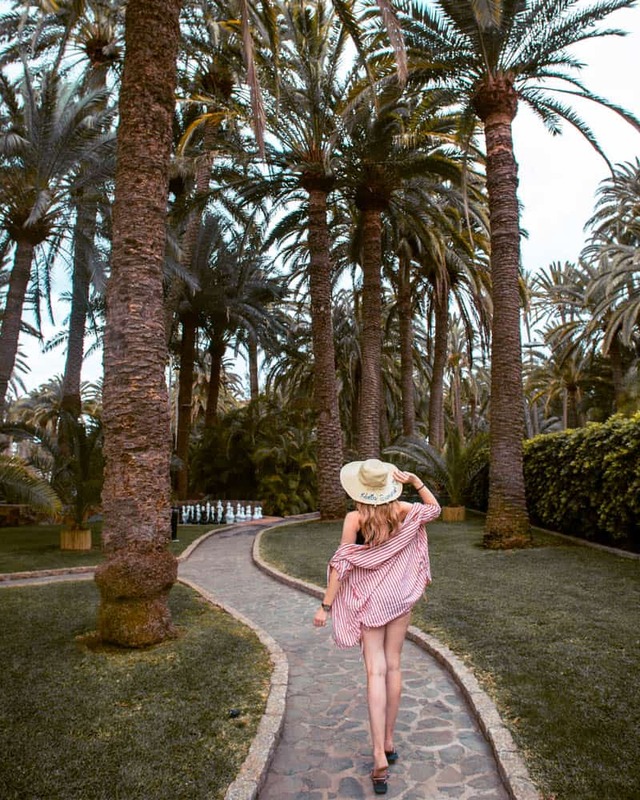 Maspalomas may seem like more of a “sit back and watch the world go by” kind of place, but there’s more to it than first appearances would have you believe. 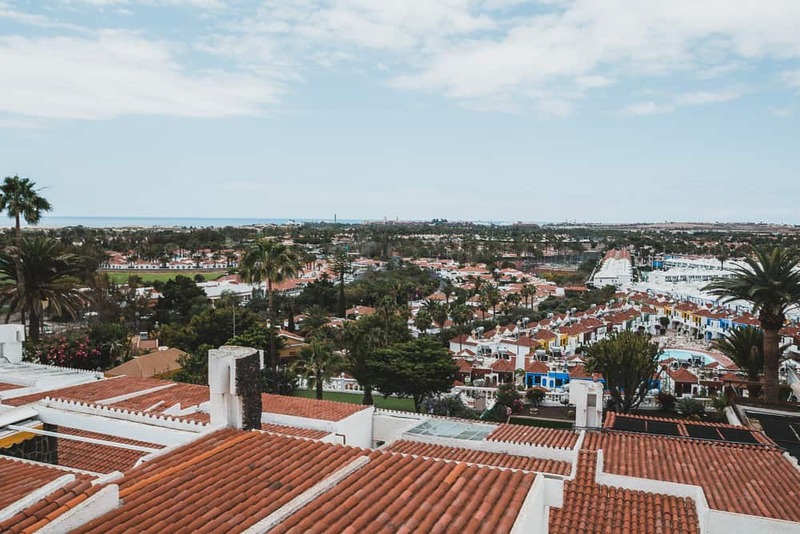 Here are some of the best things to do in Maspalomas for anyone who wants to get out and look beyond the (admittedly very beautiful) beaches. 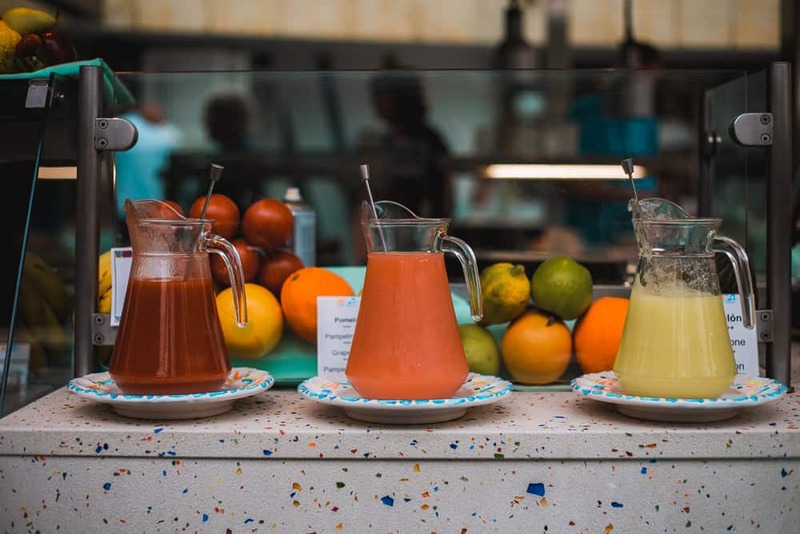 San Fernando market – or, more simply, Maspalomas market – sets up shop every Wednesday and Saturday. It’s open in the morning only and is one of the biggest markets in the south of Gran Canaria. Although it’s a bit of a mish-mash of tourist-y gimmicks and knock-off merchandise, there are some hidden gems that won’t be hard to pick out. 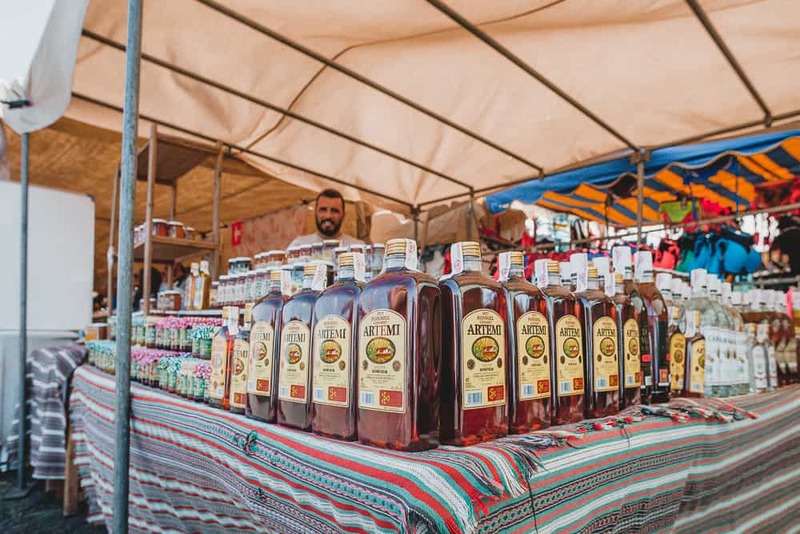 Among them you’ll find fresh smoothie stands, Moroccan leather, locally produced rum (more on that below) and a Hungarian lady selling chimney cakes in all sorts of sugary flavours. In other words: go there for the food and drink! How to get there: San Fernando market is located at the Mercado Municipal. It is open every Wednesday and Saturday from 9am until around 2pm. If you’ve never been to an outdoor cinema before, make sure you visit the Moonlight Cinema in Gran Canaria. In fact, go to the Maspalomas Moonlight Cinema even if you’ve been to plenty of open-air cinemas before! 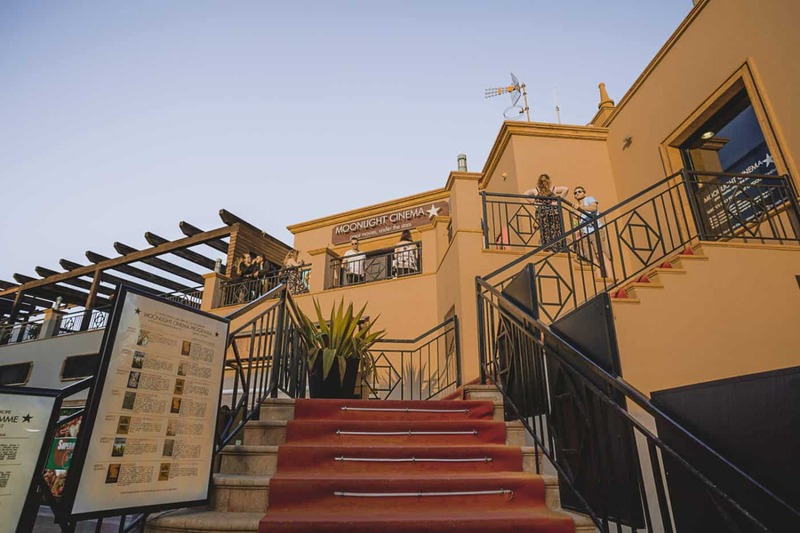 Gran Canaria’s Moonlight Cinema is the only outdoor cinema in Europe that’s open every night of the year. If you’re still sceptical about the weather in Maspalomas, that should dampen any doubts. How to book: There are two film screenings every night – one at sunset and one after the first film finishes – and tickets can be reserved here. You can also buy cocktails, pizza and snacks inside the cinema and a member of staff will bring your order to your sofa (yes, SOFA). I know I said the Maspalomas dunes are the main attraction in the area, but just beyond the dunes is another (not-so-PG) draw. The dunes create a wall in front of the Maspalomas naturist beach, which hides silently behind them. The naked bodies are entirely hidden by the body of the dunes, tucked away at the tip of the beach. 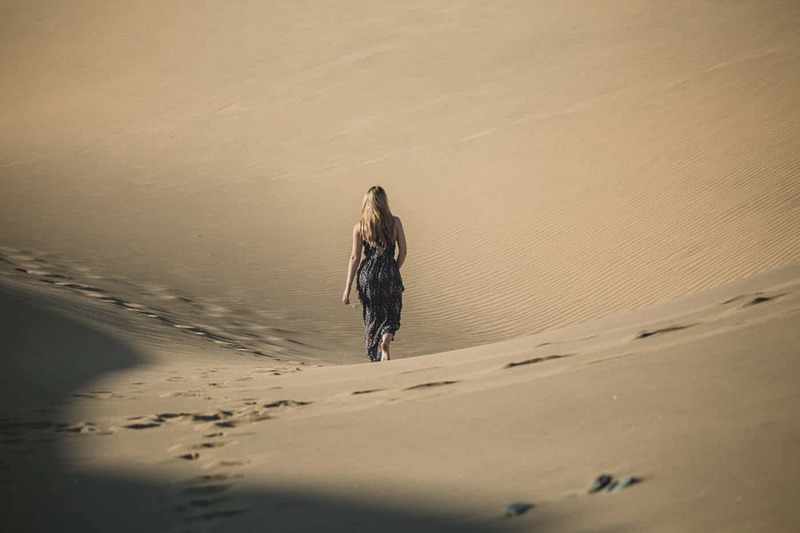 While lots of visitors to Maspalomas come specifically for the nudist beach, others (like me) stumble across it by accident while exploring the Maspalomas dunes. It’s impossible to walk the full length of the dunes without walking through the nudist beach – so be prepared! – but nobody will care that you’re passing by and you almost certainly won’t be the only clothed person around. And, of course, you can always join in if you want to. How to get there: You can enter the Maspalomas nudist beach from either side of the Maspalomas dunes. Just keep walking along the shore and eventually you’ll get there! If you want an entirely different experience of Maspalomas, visit the area in May. During this month, the Gay Pride festival takes over the beaches and bars, adding some colour and life to the normally quiet resort. Maspalomas Gay Pride lasts for around ten days in total, during which time you can expect lots of parties, parade and other events. How to book: Information and bookings for Gay Pride Maspalomas 2019 can be found here. Okay, so this one goes without saying. But make sure you set aside some time to explore the Maspalomas dunes – they’re bigger than you might think! I’d recommend heading there for sunset to avoid the midday heat and get the best possible photos while there. Just make sure you pack some bug spray! 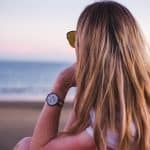 Want to save on bank fees while abroad? Here are the best cards for travellers. Maspalomas is a great base if you want a relaxing break where you won’t get bored. 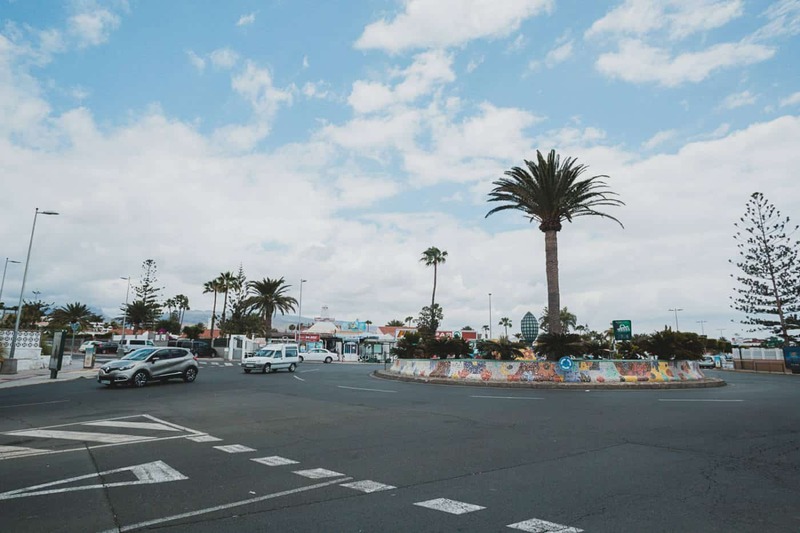 Being located in the south-east of the island, Maspalomas gets the best weather on Gran Canaria, with temperatures rarely dropping below the low twenties. That means Maspalomas is the perfect base for combing chilled days by the pool with more adventurous excursions. If you’d rather get out and explore on your own, why not hire a Scooter for a day? Gran Canaria is probably bigger than you expect, but you can cover a lot of the best views and other sights in one day. Feeling more adventurous? Experience more of the southern side of Gran Canaria with a side dose of adrenaline on a buggy tour. As well as driving through Fataga national park, you’ll see some of Gran Canaria’s mountains and remote villages from a totally different perspective. Every visit to Gran Canaria should include at least half a day of discovering the capital city, Las Palmas. A trip to Las Palmas will give you a taste of Canarian cuisine (hint: try the Canary potatoes and locally sourced black pig!) as well as an insight into what life on the island is really like. The best (and most exciting!) 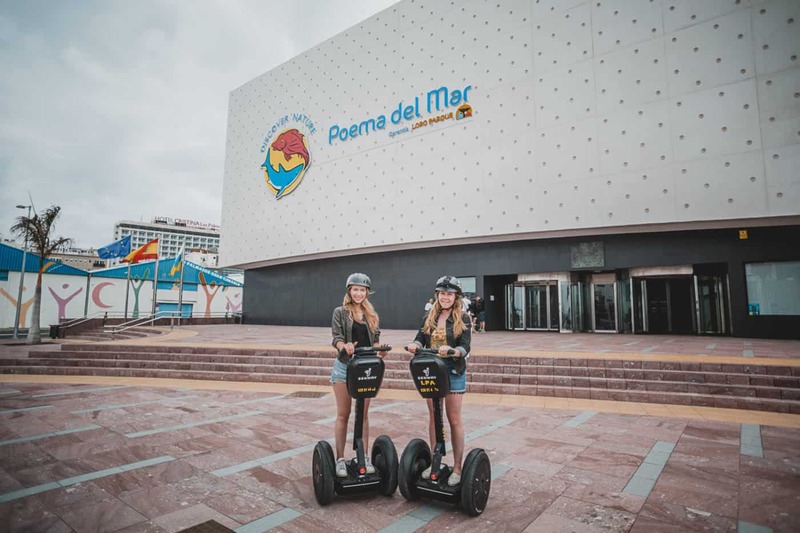 way to see Las Palmas has to be on a segway tour – best rounded off with a local beer or wine at the market. Gran Canaria is an island, which means water-based activities are never hard to find. The best way to enjoy the Atlantic Ocean that surrounds Gran Canaria’s coast? Get out on it! 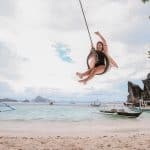 As you’d expect, there are plenty of boat trips to choose from, but there’s also the possibility to try parasailing if you prefer a faster pace. Maspalomas is one of the busiest resorts on Gran Canaria – and for good reason. Its location on the south-eastern tip of the island means you’re pretty much guaranteed good weather all year round. That means that some of the best hotels in Gran Canaria can be found in Maspalomas. If you’re looking for a beach hotel in Gran Canaria, Maspalomas should be your first choice. We stayed at the Seaside Hotel Palm Beach, which may just be the best of the bunch. 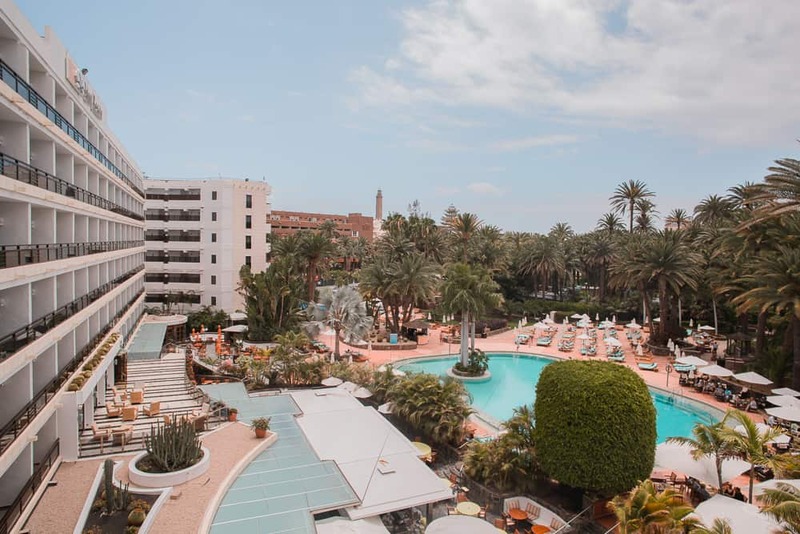 Situated as close to the Maspalomas dunes as possible – and practically on top of them – Palm Beach hotel nabs the best location of all the hotels in Maspalomas. It’s a 5* hotel with everything you’d expect of one: beautiful rooms, multiple pools and some of the best hotel food I’ve had in my life.